Abílio Bikes, rural tourism bike tours is the oldest bike shop in the city of Tavira, Portugal. The shop was founded and runed by Mr Abilio from 1963 until 2001. 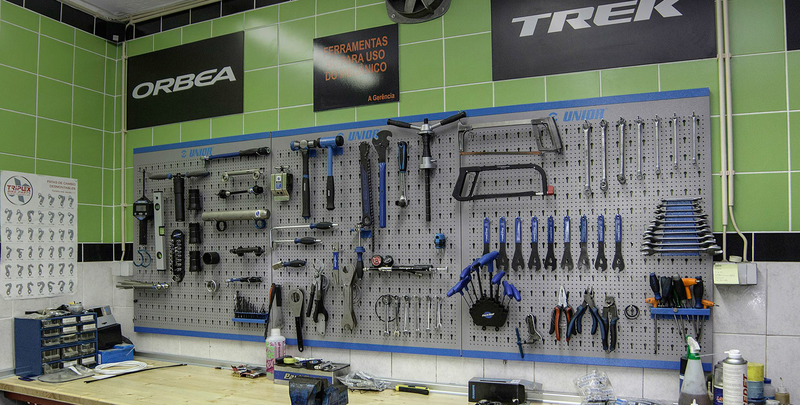 In 2002, João Branquinho, a biking lover, took over the business and fulfilled his dream of having a bike shop and workshop. As it is said, where there is a will there is a way and the former Casa Abilio Bike Shop it has turned into Abílio Bikes, a more modern shop adapted to the current necessities of all sorts of clients. Even if it has rained a lot since Mr Abilio left the shop, lots of locals still call João in an affectionate way `Mr Abilio´. Nowadays the shop has internationally well known cycling brands, a specialized workshop, a bicycle rental service, bike tours experience and a bike logistic service. Clients necessities are very important for us and we have several systems of bike rentals like online rental, rental in our shop and a service of delivery and collection of the bicycles wherever you are staying in Algarve. We have a specialized team and a high quality service that promotes a sustainable and ecological tourism in Algarve. Our mission is to make you enjoy your rides. Do you want to cycle with us? Provide our friends and clients the best offers and variety of bikes and prestigious brands, as well as the full set of accessories that allow a greater convenience to the bicycle lovers. Share some secrets in Algarve, trough our bike tours, is an other big mission! We believe that all that we do has to be done with great care and love, for this reason, everything has to be thought to detail. We like to be well served by our distributors and suppliers and we also think that our clients and friends deserve, in the same way, all our attention and availability in sales and post-sales services. However, we truly recommend you to come to Abílio Bikes, bike hire, to visit our facilities and see for yourself our high quality service. In addition, we believe in a healthy planet, so we have a great commitment with the nature. In response to this, we defend the concept of Eco-Friendly Tourism in our services.